Disney On Ice presents Princess Classics is an amazing journey to the magical lands of Disney’s classic fairy tales. Travel to a kingdom under the sea, an enchanted French castle, an Arabian palace and more! With special guest Tinker Bell, enter the worlds of your favorite Disney princesses – Cinderella, Jasmine, Ariel, Sleeping Beauty, Belle, Mulan and Snow White – and see their dreams come true as this royal skating extravaganza brings magic to your hometown! 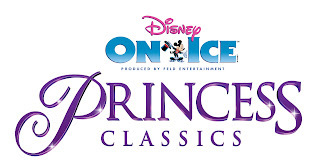 We are super excited to attend Disney on Ice Princess Classics in our area! Keep an eye out for our upcoming review! *Service Charges, handling, and facility fees may apply. Price listed includes a $.50 Township Tax. A $1 Bond Fee applies to all purchased tickets.